With Predict, your consignee can reschedule their delivery for another day or have it delivered to a chosen place so that they never miss a parcel delivery again! Being in control of how your parcel is delivered is about offering consignees more choice and comfort by being delivered directly to them. But what if something comes up, forcing your consignee to be absent on the day of delivery? And how can the time they spend waiting at home to receive your parcel be minimized? With the Predict service, your consignees in metropolitan France and 22 European countries (1) take control of their delivery with the widest choice of rescheduling options available from the day before and up to 1 hour before delivery. With the Predict service, your consignees are notified by e-mail or text message the day before of the arrival of their parcel and can change the place of delivery (1). Your consignee can opt for delivery to a local pickup point such as at a post office, in our Chronopost branches or in one of the 9,000 shopkeeper pickup points in the Pickup network in metropolitan France and more than 36,000 in Europe (2). This delivery option lets your consignee choose a "safe place" where the parcel will be left as per the instructions they have given. Be it a garage, garden shed or any other safe place, Chronopost adapts to your consignee's instructions. Let your consignees enjoy greater flexibility and comfort by opting to have their parcel delivered to a neighbor. 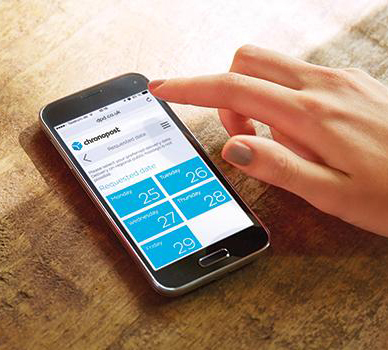 The Predict service lets your consignees reschedule parcel deliveries for a later date, up to 6 working days. With Predict, parcels are delivered when it is convenient for your consignees! Your consignees want to know exactly where their parcels are. 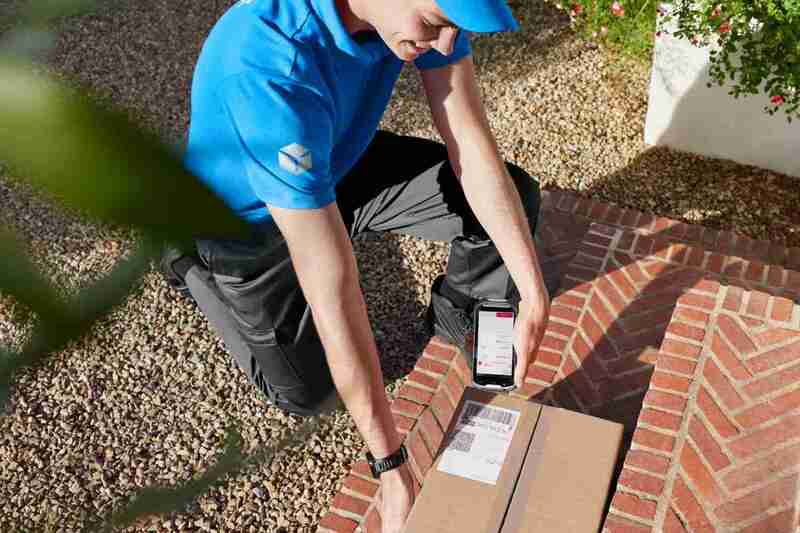 With Predict, they can now enjoy live tracking of their parcel while it is out for delivery. Your consignees do not want to wait around for their parcel without knowing the exact delivery date: with Predict 1 hour, they benefit from the provision of a one-hour delivery time-slot. Predict is available in 22 European countries with the Chrono Classic delivery service. Offer the best delivery to your European consignees: they will choose where and when their parcel will be delivered. (1)Depending on the delivery services chosen and the practices of consignees in European countries, certain rescheduling or delivery options (rescheduling, email/text message notification, etc.) with Predict are not eligible. (2)Delivery to post offices or shopkeeper Pickup points only available the day before delivery.